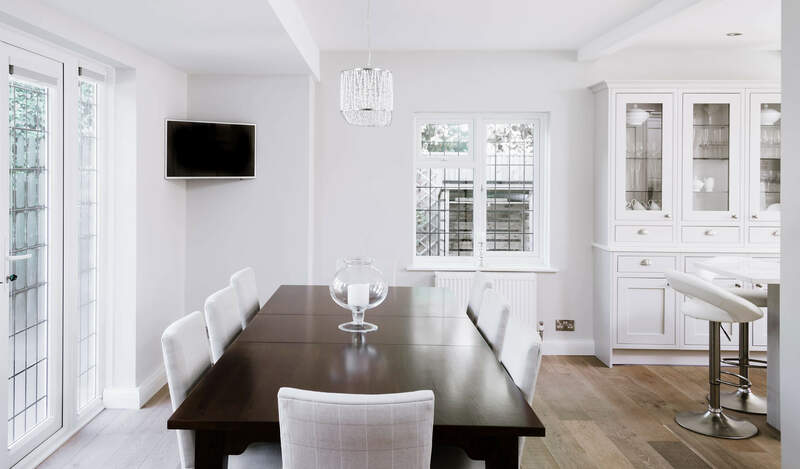 The stunning interior to this house was the perfect setting for our in-frame, bespoke, white painted kitchen cabinets. 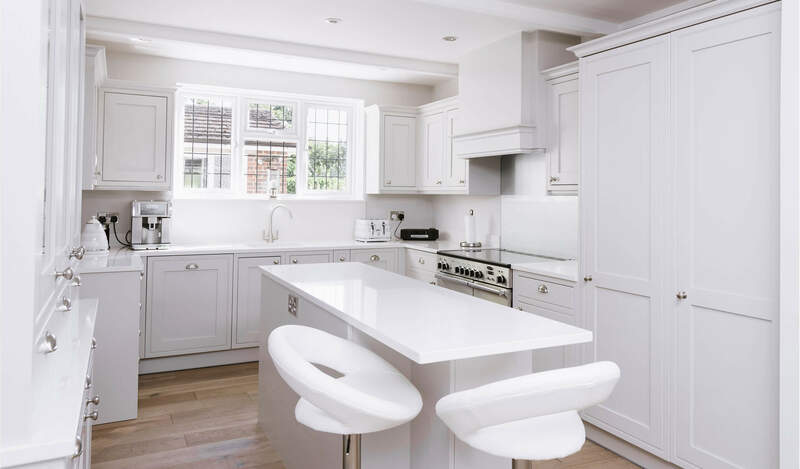 Very elegant and chic; we incorporated the practical style of the Rangemaster cooker with a gorgeous bespoke chimney. 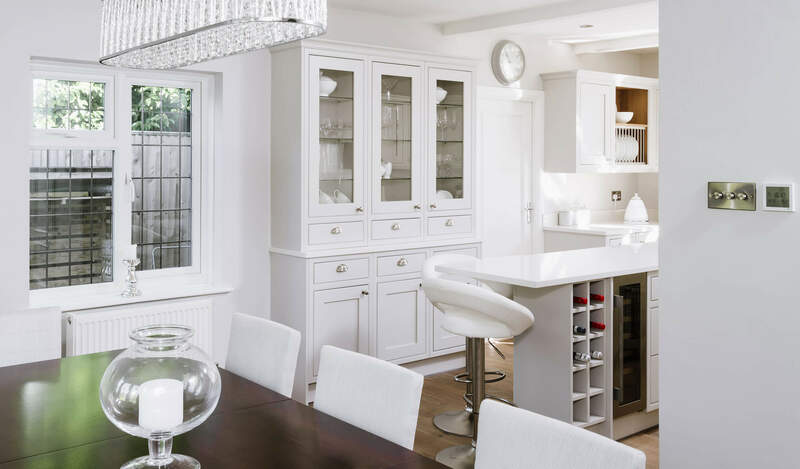 A glass dresser is an ideal showpiece for the beautiful glassware and crockery. The wine chiller and painted rack create the finishing touches. 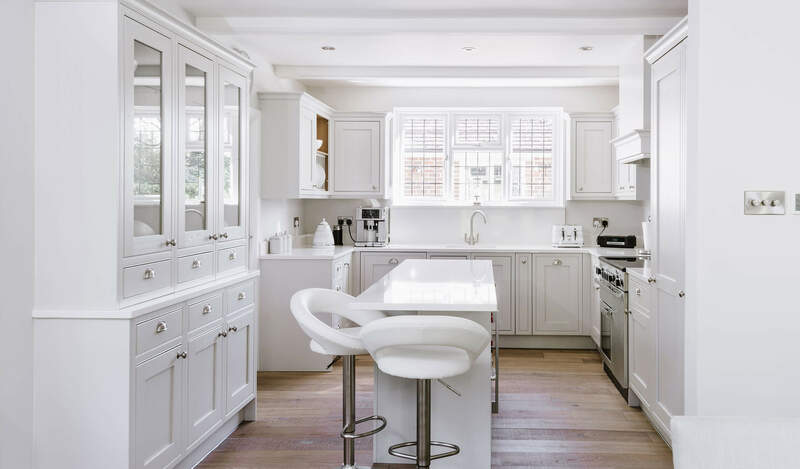 This classic white painted kitchen was designed in-house using digital CAD designs. 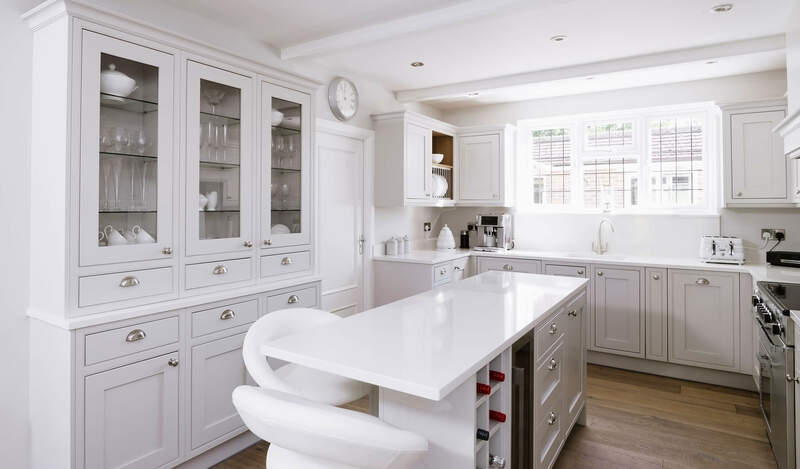 We then worked with the client to ensure it was their dream kitchen but also worked practically for them, before managing the entire project to ensure delivery on time and on budget.